Sparkle and Bling: TSG Sneak Peek - Beach Bums!!! Our final set this month at There She Goes is another FABULOUS creation from Torico. Made to coordinate perfectly with the previously released Make A Splash stamp set, this set if perfect for not only making cards, but scrapbooking your family vacations, and summer beach trips! LOL!!! I love every image in this set but wanted to do something a little different than what I thought people would create. This card would be perfect for a friend who is needing a bit of encouragement. The layout for my card is this month's SFYTT. If you're a member of the Fan Club at SCS, I have another project here for this month's Dirty Dozen Summertime gallery. 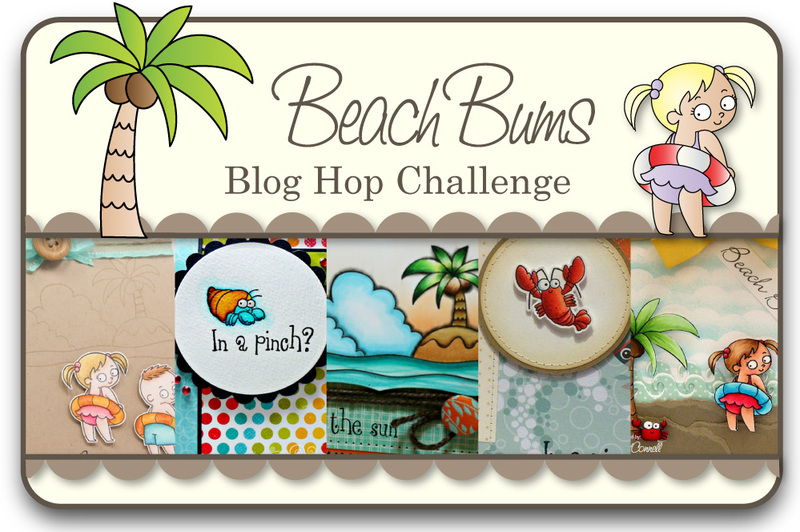 Would you like to win the new Beach Bum stamp set? Here is what you need to do- visit the Trendsetter’s blogs that are participating in each of the blog hop challenges below and comment on their creations as you go. One of the Trendsetter’s blogs (from each hop day) will be randomly chosen as the ‘it’ blog and a winner will be picked using a random number generator from the comments left on that Trendsetter’s Blog Hop Challenge post. such a great bright cheer-up card! Llove the creative way of using the stamp set! Love how colorful this card is! Very nice! Love this Angela. Nice way to showcase the set differently. OMGosh, I love this little critter and the great dp you used. How fun super cute colors. So sweet! Love your take on the sketch too! So cute! I'm already loving these images! Adorable! Love the bright colors and layout. Sooo Cute! Love that hermit crab! The polka dotted background is so perfect! So so cute! Gotta love the versatility of this set! Such a cute little critter and I just love your color combo. Very colorful--love the polka dots! oh I love these bright colors. So cute! Great layout for this cute set. Love the added bling. This is an AWESOME set. I love what you created and how there is minimal coloring to it! I need to get this good! Such a happy and fun card - love it! Ack so cute!!!! I must have this set!!! Your card is adorable. Love the blue crab and all the polka dots. In a pinch . . . so cute! This is absolutely adorable! I love this little guy! This is really cute! I love the bright colors! That's a cool card. Love the hot summery colors, yet the focal image is surrounded by a cool blue. Nice. Cuteness! Love the cheerful color of your card. 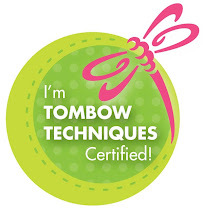 such a cute stamp...fun rainbow. That is so darned cute, and I love the sentiment. Good job. Wonderfully fun card!!! Thanks so much for sharing! too Darned CUTE Angela! 8-) Love the Darling image and Bright Cheery Dp's! Great take on the sketch too! Cute sentiment!! 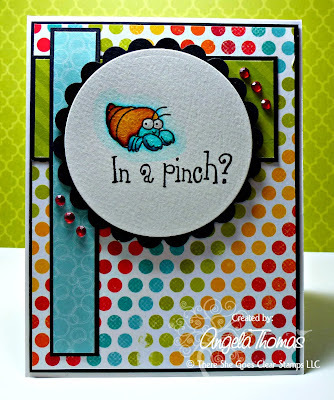 LOVE that little hermit crab! Very cute card, love the colors you used.